Taken from the other site. The new Planet Eclipse PAL loader looks to be one of the most simple yet still one of the most exciting products to debut at the 2018 NXL World Cup. It sat on the shelf in the Eclipse booth largely ignored by most the players simply due to plain external look. It appears from the outside to be a plain gravity fed hopper and doesn't cost much more than one either. For less than $20, you never would expect the level of performance hidden within. This ingenious hopper might look like a basic plastic hopper, but when combined with the Emek, it is a sheep in wolf's clothing and an absolute terror on the field with no batteries needed in the hopper or the gun. It's also available in two sizes and works with both .68 and .50 caliber paintballs. Both sizes of hoppers will work with 68 or 50cal. Hi-Cap hopper holds 225 of 68 caliber paintballs or a ridiculous 550 of 50 caliber paintballs. Lo-Cap hopper holds 100 of 68 caliber paintballs or 225 of 50 caliber paintballs. 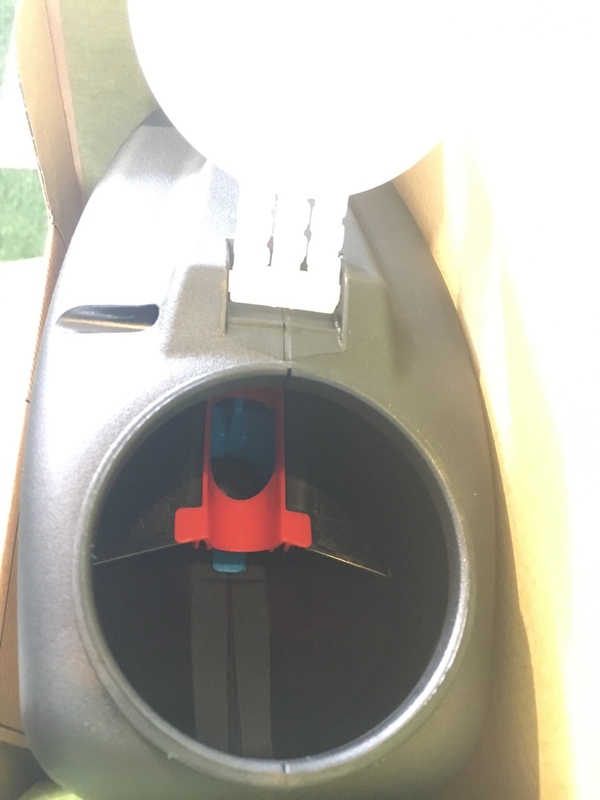 The PAL hopper uses air from the Emek to push up a small post in the feedneck that in turn "activates" the small blue piece within the hopper. The hopper really only agitates the couple balls right where paintballs get stuck in the feedneck to make sure two balls aren't blocking each other from falling down into the feedneck of the hopper and then the marker. This hopper truly solves the age-old dilemma of how to feed paint more effectively on an inexpensive (or even rental) marker without requiring the user to shake it. Already own an Emek? Planet Eclipse has you covered. They will upgrade your Emek body and feedneck when you buy a PAL hopper. Future Emeks will all come PAL ready right out of the box. They also will start coming with push button safeties soon. You don't have to use the PAL loader on a PAL ready Emek though. You can still use any hopper on newer Emek. You can also technically use a PAL loader on another gun, but it will just work like a standard gravity hopper since the hopper needs to be activated by the specialized body and feedneck with the moving vertical post. This is one of those products you really have to see shooting to understand just how effective it really is. Eclipse had a shooting booth on-site at World Cup to show off the PAL loader and I'll get you a shooting video this week.